Particularly the interview with Dr Jim Garrow 29 March 2014. ‘Dr. James Garrow former Nobel Peace Prize nominee, was recruited by an intelligence agency at the age 18 for the federal government of the US so he signed an oath, a commitment to the nation & kept that commitment for 45 years until he was ousted by the White House in Sept 30, 2013. He was involved in bringing forward knowledge of the litmus test that asked: Would you turn & fire on U.S. citizens if ordered? 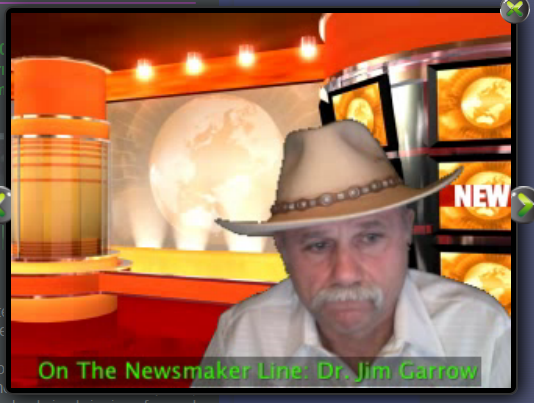 Dr. Garrow is now free to speak about things except for areas where he can’t cross the line. He’s spent hours with a legal team to make sure he’s clear about what he can speak about 208 senior military officers gone now & now they are going down to the lieutenant level to get rid of constitutional loyalists. Dr. Garrow , has first-hand knowledge that the deaths of Andrew Brietbart, Michael Hastings, and now Tom Clancy were the result of interconnected attempts to expose Barack Obama as a foreign Saudi plant – a fact that that Dr. Garrow says is common knowledge among intelligence communities throughout the world. Dr. Garrow has contacts with intelligence forces of the world & those people are appalled at what’s going on. Operatives are not safe & three of Jim’s colleagues have been murdered in the past month. They were compromised probably at the highest levels of the govt. Remember Valerie Jarrett’s words about those who have been with us will be rewarded. “Those who haven’t been with us will get theirs (there will be hell to pay)”. It’s now a reality for our people around the world. Its the new Knockout game, Obama style…but when Obama knocks you out, your down…….permanently.